KOMODO, Indonesia - Looking to head out on a SUP vacation that is outside of the norm? Consider Komodo Island in Indonesia! Komodo National Park is a World Heritage listed site, located in the east of Indonesia. Down-winders, distance, drift, and flat water recreational paddles. Komodo is considered one of the Seven Natural Wonders of the World and is home to the largest lizard. It’s highly regarded by divers and conservation-minded travelers, but has yet to be ‘discovered’ by the stand up paddle boarding community. Komodo’s 29 volcanic islands are desolate in appearance, though they sit within one of the most bio-diverse regions known. Encircled by indigo-blue waters that churn and bubble as opposing currents collide, this is a place where nature flourishes in full splendour, both above and below the waterline. For paddle boarders, the appeal of Komodo can be found among the many hidden coves, meandering rivers and inlets that remain largely devoid of human footprint. Water buffalo, deer and macaque monkeys are just a few species you’re likely to see on land. It’s hard though to draw the eyes far from what can be clearly seen just below the shimmering surface, where great plates of hard corals form delicate petticoats of colour. Between them, extraordinary assortments of soft corals bend with an unseen flow that ushers in large schools of tropical reef fish and pelagic species. The water is so clear - and the marine life so prolific - that it’s not uncommon to be accompanied by giant mantas and turtles. They swim gracefully adjacent to the boards; seemingly unafraid of mankind’s intrusion into their domain. 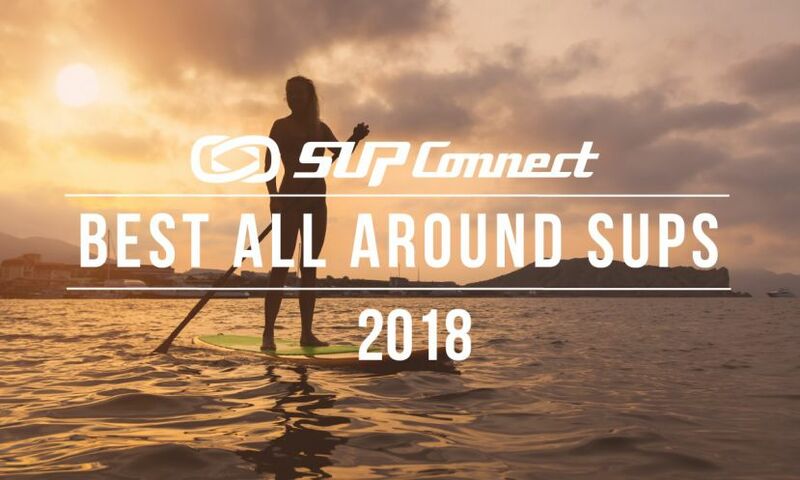 Their company makes it terribly hard to resist the temptation to join them, which is why a GoPro and mask & snorkel set should be considered essential SUP accessories in Komodo. The dry season is from April to early December, when it’s not too hot and there’s very little chance of rain. Mosquitoes are not an issue during those months, so if you want to sleep on deck under the stars, then Komodo’s the place to do it! International travelers should fly to Bali, then transfer to a domestic flight destined for Flores. The only way to explore Komodo is by boat, so you’ll need to charter one or join a tour. SUP Wilderness Adventures returns to Komodo in October 2017, when they’ll have a 77’ solar & sail powered trimaran at their disposal. Complete with local crew, SUPs and two tenders, the yacht comfortably sleeps 12 in a mix of single and double berths. That means there is no single supplement for those traveling solo! Plastic waste is a problem in Komodo as the currents flush in debris from villages further afield. Paddlers are in the perfect position to help protect the environment by strapping a bucket to their board for collection of waste. This can then be stored in the boat’s hold until it’s return to Flores, where it can be disposed of responsibly or recycled. Trash Hero Komodo is a community-based recycling and educational program. SUP Wilderness Adventures proudly supports it by donating 5% from all Komodo bookings and participating in island clean-ups. Keen to explore Komodo? Jump aboard our yacht this October! Check out SUP Wilderness Adventures HERE for details.